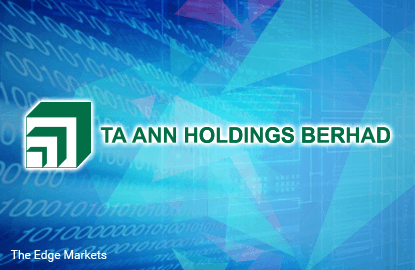 Sarawak-based Ta Ann (Fundamental: 2.3/3, Valuation: 2/3) rose 3.7% to close at RM4.24 yesterday, after announcing a strong set of quarterly results as well as an interim dividend. Volume was heavy with 4.3 million shares changing hands. For 3Q2015, net profit rose an outsized 54.6% to RM67.4 million on the back of a 5% rise in revenue to RM298.9 million. The improved performance was primarily due to higher fresh fruit bunch production and better average selling prices of export logs and plywood in ringgit terms. The latter offset the 31% and 9% fall in sales volume of logs and plywood, respectively. Shareholders will be rewarded with a second interim dividend of 10 sen per share, which will go ‘ex’ on Dec 1. 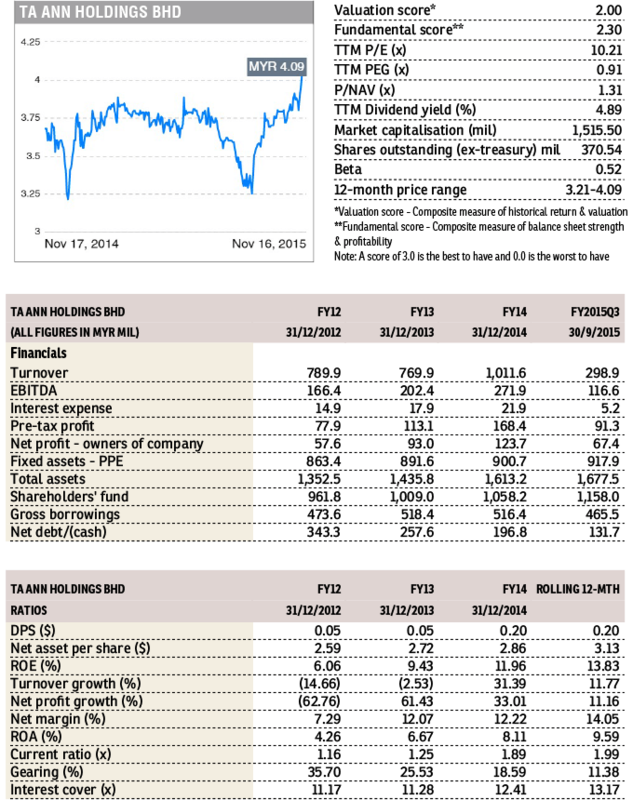 This brings total dividends for FY2015 to 20 sen per share. Ta Ann is primarily engaged in the manufacturing and sale of sawn timber, veneer and plywood, trading of timber logs and cultivation of oil palms.